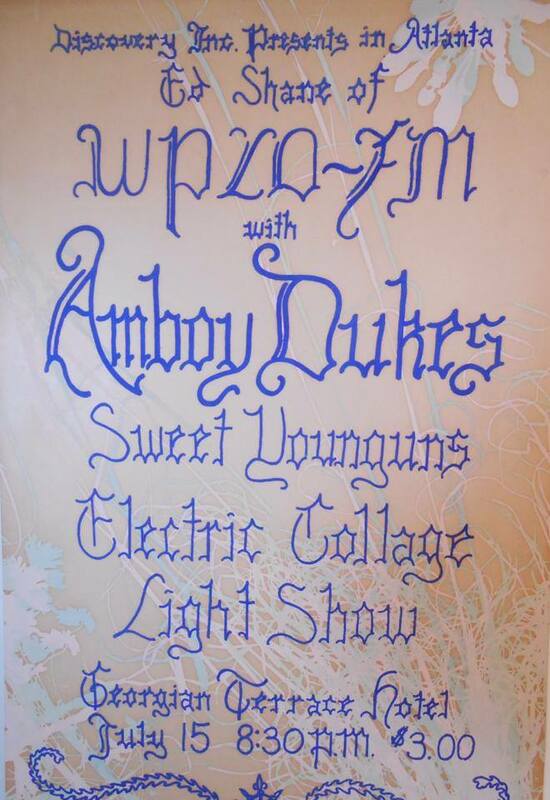 Light shows continued to prosper during the late 60's and early 70's. There are many stories about what constituted their demise. Some people though it was simply a fad and the fad died out like hippies. The visual music artists have another story. Admittedly they worked mostly at rock concerts and were part of the counter culture, but for the most part they were visual artists simply working with their art of visual music. We were artists and had many friends in the art and music community. The hippies were on the fringes of the community but we were not extremely involved in hippie culture. In reality, the hippie part of the 60's revolution was a small segment of Atlanta small but diverse alternative culture population. It also included many intellectuals, artists, musicians, and similar professionals. 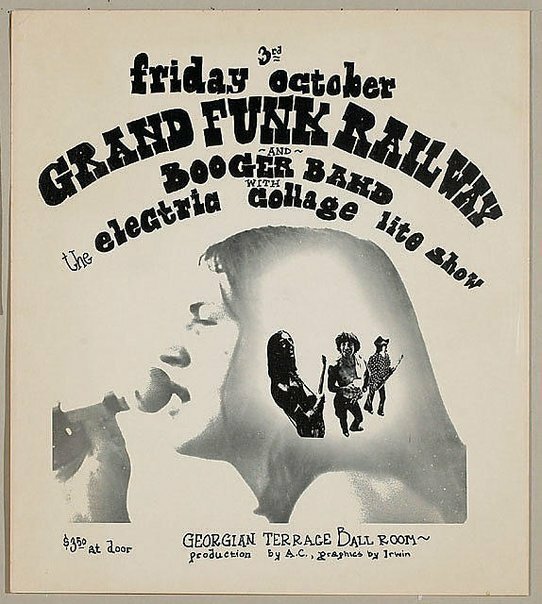 While it was obvious that some light shows were hippie fads, others were serious visual music production companies. Artistic groups that could produce a diverse variety of visual music art. In the real world, companies need cash flow to operate. In the art world that cash flow can be very delicate and dependent on fads. The "alternative culture and youth movement" lost it's momentum when the Vietnam war ended. The other issues got shuffled to the background. The beginning of the Seventies started the "Yuppie" generation and Disco music. Flashing lights on the dance floor and stuff like that. Then there was the Nixon era that diverted the nation's attention. Nixon had to resign because of all the scandals he orchestrated. Next there was the big gas price increase that changed many people's priorities. When the annual salary was about $10,000 gas prices went from about .35 a gallon to 1.50 a gallon. People planted vegetable gardens so they could eat. They did without a lot of luxuries and music is a luxury. According to many reports of the era visual music light shows ended at the same time of the automobile gas price increase in the early 70's. People simply could not afford to go to concerts. Promoters at different parts of the country told the visual music artists of the era that there was no more money to pay them. This has been confirmed by reports from several light show artists of the era. Light shows were cut from the budget and the people's money went to fuel their cars. Other than being "a fad" or "the economy went bad" there was one more thing that happened. This was a fundamental change. In the 1960's era concerts and pop festivals light and sound would be provided by the promoter at each venue. It made economic and artistic sense. Sound and lighting equipment were expensive and fragile to move around and each venue required skill to amplify and light. The people who worked the venue over and over (the locals usually) were much more skilled at amplifying and lighting the local venue. 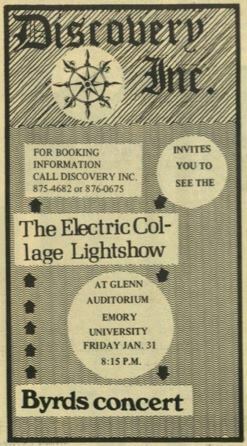 During that era the visual music light show was added to the show by the promoter after consulting with the musicians. The band endorsed the idea and we had a concert. The visual music artists were independent from the band and made their own content just as the musicians wrote the music. The band knew our reputation and trusted us to create appropriate art to compliment their art. Bands now days are very "packaged". Lighting has become very automated with flashy lasers and giant TV screen with the artist's face on it. In the commercial band business a visual music light show produced by a third party doesn't promote the artist. So all of the visuals at concerts are aimed at promoting the band. The visuals are produced in the marketing department. Concerning the end of the visual music light show era of the 60's Steve said, "We had maxed out the technology and producing it was expensive with all the film and so forth. Then about 1972 the economy changed due to high gas prices. Producing new media became difficult as the prices of everything went up, especially movie film and gas. It seemed that due to the economy the concert promoters selected light shows as the obvious thing to cut out of the budget since the concert could go on without it. It was that simple." Visual music artists are not thought of the same way they were in the sixties. Nobody but the people that were there in the 1960's remembers visual music light shows. Perhaps visual music light shows had attached themselves too closely to the counter cultural movements of the era. But some of the bands survived. They wrote different music, changed their style and adapted with the times just like any artist tends to do. Many visual music artists from the sixties era confirm that they too were read for a change, but the opportunities simply did not present themselves. As of 2015 there are a few new visual music artists showing up. Digital production and delivery technologies made the art form commercially viable again. Considering what is available in the new technology visual music light shows will soon evolve in something involving a lot more than projectors were able to produce. The new visual artists will be able to put together complex images like the Electric Collage produced. And they will be able to take it a few steps further.